Ready for more delectable datamined previews from the recent beta build? Here they come! 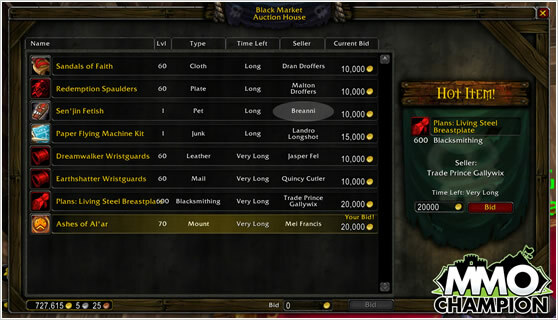 This new market will be used by NPCs to sell special items that are not normally sold for gold. 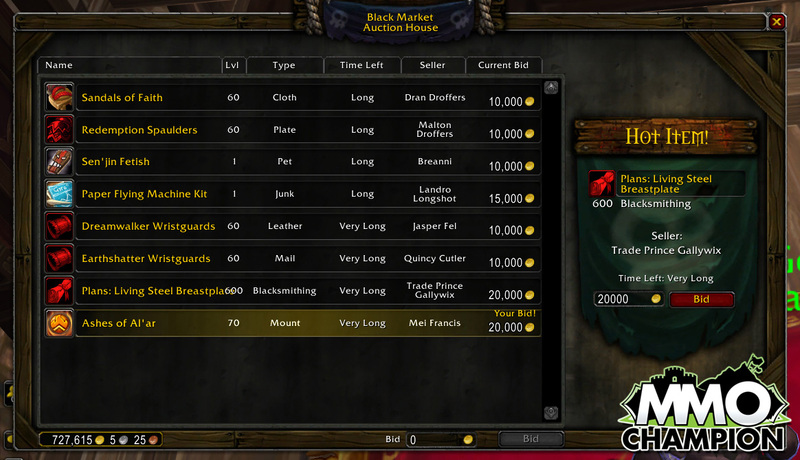 An example would be the Ashes of Al'ar mount being sold by Mei Francis, a mount vendor. Guess who will also be taking part in The Black Market? Breanni! As seen in MMO-Champion's screenshot (reprinted above), this pet-loving gnome is expanding her business ventures and will be selling pets on this new AH. It's still unclear which pets will be available through The Black Market. Better start saving up gold while waiting for a list of possible companions, though. Looks like the this market won't be cheap!